Seven strangers move into an old nightclub turned fabulous urban loft in Chicago's West Loop, looking forward to high times in the Windy City -- leaving their hometowns behind. But each of these roommates has skeletons in their closets - shattered lives, broken relationships, estranged family members, and dark secrets. They soon discover they cannot run away from their past mistakes; unresolved issues and abhorrent behavior will resurface as the 'last person on earth they wanted to see,' comes knocking on their door. 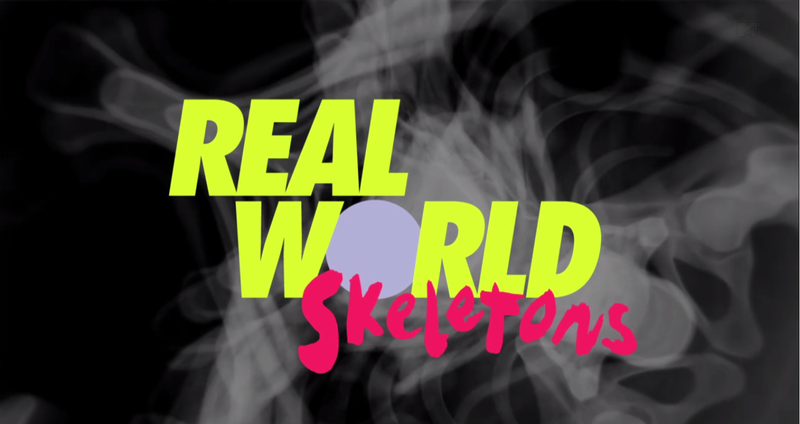 Each episode, a new skeleton literally arrives on their doorstep to stay in the house, forcing each roommate to deal with their past lives. It's an emotional, funny, and challenging roller-coaster with a variety of skeletons: a cyber bully is confronted by her enemies; brothers who haven't spoken in three years are suddenly face to face; a roommate is visited by her boss from hell; a secret baby mama is revealed with the birth only weeks away; a player has three of his hookups suddenly living in the house at the same time; a son is surprised by the father he's never met; a roommate must revisit with the peoples she's hurt after years of a drug addiction. The visiting skeletons reveal surprising details about each of the seven roommates, exposing their secrets, their loves, and their ultimate desire to overcome the mistakes of their past. 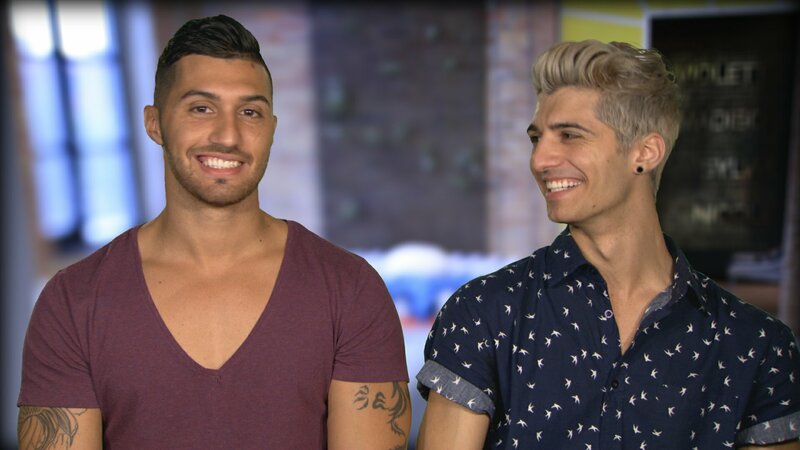 Full of tears, laughter, conflict, and romance; this groundbreaking season of the Real World will be like no other. The 30th season of The Real World premieres on Dec. 16that 10 PM. I like the name! Not as tacky as Ex-Plosion, haha! It's a very contrived twist though. wowwww sounds like lots of fun!!! and a lot more skeletons than I thought!! can't wait!!! Lmao @ the name! What the hell...? I'm curious how did they find out about those skeletons. Was there a question on the application "On a non-relevant topic, please tell us about your dark secrets. Anonymosity guaranteed. Nop, not really guaranteed"
They do ask them in casting if they have/had drug problems (That will be one skeleton out), Exes (Another skeletoin out ) even before explosion they have ask about them/ interview them, if both parents have been present in their life (another skeleton out), If they can interview their sibling ( another skeleton out). About being cyber bully, their boss and the baby momma no idea. The official page has already been 404'd. Looks like they screwed something up as usual. Weird name, but I like the concept sooo much better than Ex-plosion. This seems like a much more relative, normal, real theme that a lot of viewers can relate to and tune into. I'm surprised it is premiering so soon, but I'm guessing they might want to air the next Challenge soon, maybe in Feburary/March. Case in point: Roommate Bruno Bettencourt from East Providence, Rhode Island, will be getting a visit from his estranged brother, Briah. The siblings haven't spoken in three years, when a petty fight erupted into a shouting match and ended with Briah telling Bruno that he wished he had died in the car accident that nearly killed him. Yikes! Can't say we'd be too excited if he knocked on our door either. About that car accident—Bruno's near-death disaster happened after he was arguing with a girlfriend, stormed out of the house in a rage, and was hit by a car going almost 50 mph. According to his bio, he now "wears his scars proudly like a tattoo." But Bruno's problems don't end with his accident, temper, and brother drama. The 24-year-old, who was born in Portugal, has a sour relationship with his father and was bullied as a child when he moved to the United States and couldn't speak English very well. where'd they get that picture from?? is that from the trailer or something!? gah i want to know more... sounds good!! Not really feeling this one... it just seems like a bunch of mess. If it was a completely different show, I'd probably be into it. But The Real World is supposed to be about the social expereriment between a group of people who were thrown together to live in a house for a few months. Now it's gonna rarely be about those interactions and focus solely on the "skeletons". The Explosion twist was different and a mess as well but after that initial shock, it felt like it was still The Real World, just with 4 extra people. This sounds like it'd be great for a True Life segment or something like that. I love the name! This is gives me a little hope again. The one question I remember in casting was name something that no one knows about you or something like that. Everyone in my group immediately started spilling how the cheated or slept with their bestfriend's man. When is the season suppose to air? Buzzfeed had an article for Free Agents. The name makes a lot of sense when you think about it. A skeleton in the closest is a memory or secret you don't want to think or talk about. Such as a drug addiction or a estranged brother and with the twist the skeletons are literally coming out. So it airs on Tuesdays now, interesting. Not sure what else will be on during the time for competition purposes, but I think the show will be fine if they promote it right. Yay at least it doesn't air on Thursdays. Tuesday night is a great night for this to air. Nothing comes on lol. Monday is jam packed, which is why AYTO is struggling. Even I forget. Wednesday is not that bad. Thursday is terrible. Shonda got that on lock. Sunday would be good IMO for MTV shows. I think this season will be better than Explosion because on Explosion people like Arielle became background characters once the Exes came while this season will have Episodes specifically focusing on each cast member and their skeletons. My guess is Jason probably has the baby one the way which could explain the visit to his hometown. Plus we know Bruno's brother comes and Tony is the one with the ex-girlfriends in the house together. I like the twist but it seems like alot is going on and some roommates are getting more than one surprise , I cant at them bringing in someones dead beat dad though lol just messy but the drug addiction and cyber bullies one sound like absolute flawlessness in the making tbh. The twist is growing on me. The only skeleton I'm unsure of is the boss... like, really? I bet Sylvia was the cyber bully! I'm so so on the twist, I feel like it will be way to dark. I feel the twist will be dark, but aren't most shows are nowadays American Horror Story, Scandal, The Walkin Dead, etc. And all have created Mass Appeal with viewers and are hits! This twist is freaking amazing, and I love the name. I wonder who Nicole's visit is? I got to admit the twist and the name is pretty catchy and should make people talk about this season, but I wonder how the living with the cast is going to be, especially with those "older" people and how the season is going to be produced like do those "skeltons" just appear on one episode and then leave until the reunion? When we first heard about people from their past visiting them, I was a little skeptical. But this sounds like it has the potential to be great. It sort of goes back to what the Real World was supposed to be all about (relationships, conflicts, growing as people, etc) instead of just a nonstop party the whole time (like it's sort of become in recent years). So I can't wait to see how it all plays out. There short visits ranging from a day to 7 , So every episode will follow a separate skeleton then they leave , I expect they will be in Cast photos and at the reunion but IDK.